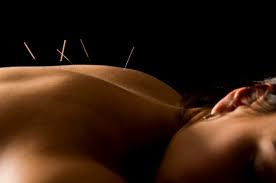 Acupuncture is a physical medicine utilized by millions of people all over the world. Traditional Chinese Medicine is fairly new to the United States, introduced in the 1970's during the Nixon Administration on the President's trip to China. Acupuncture improves the flow of Oxygen, nutrients, and blood within the blood vessels to nourish every cell in our bodies. Acupuncture causes blood vessels to dilate and increases blood flow to specific areas of the boy to relieve pain, improve organ function, and prevent aging. Acupuncture also stimulates the nervous system by activating nociceptor sensory nerves and proprioceptor fibers that travel from the skin to the spine and into the brain. Acupuncture improves the nerve signal to your brain and forces it to relase opiods (natural painkillers) to shut off pain signal and eliminate your pain. In short, Acupuncture stimulates the body's natural ability to heal itself. Acupuncture treats many conditions either on it's own or in conjunction with Chinese herbal medicines or other therapies. Traditional Chinese medicine is a natural solution to many health problems without drugs or side effects.